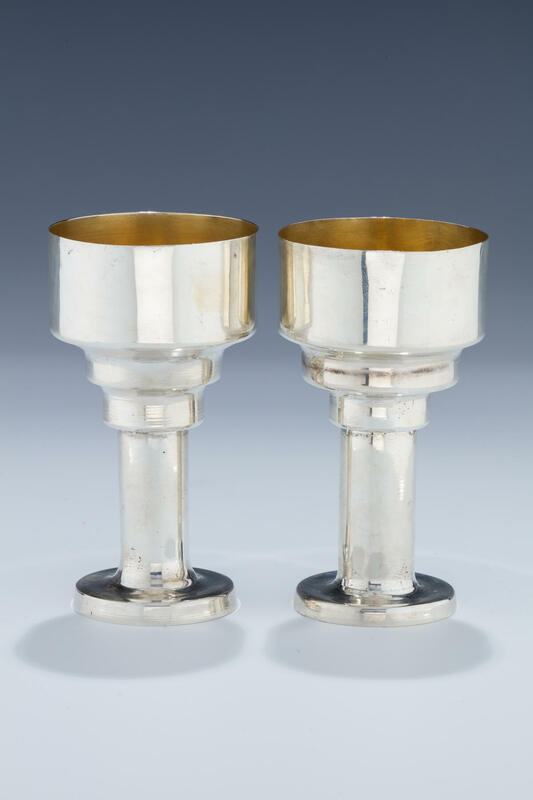 A PAIR OF STERLING SILVER KIDDUSH CUPS BY B. FRIEDLAENDER. Israel, c. 1950. In art deco form. On round base with long shaft. Signed. 4.6” tall each.